Review Back in 2007, Apple convinced the world a phone that could barely last a day was OK. In 2018 it has set out to persuade the public that a phone costing £749 is somehow a bargain. Is that an iPhone in your lanyard or are you just happy to see me? Reg the vulture strikes a moody pose with the kit. Does it succeed? Of course not. £749 is still a ridiculous amount of cash to hand over for some clever silicon encased in an oh-so-slippery shiny case. However, for the faithful wary of tipping over into four-figure territory, it represents a less heart-stopping path from tech that Apple would dearly like them to stop using. And heck, maybe they might put that £250 saving over the iPhone XS towards something wrist-mounted? As an iPhone 6 owner, I am in Apple’s crosshairs, having skipped the last few generations. Since my iPhone 6 has gone a little bendy over the years, I picked up an XR to see how it compares to its predecessor, and also its considerably pricier siblings. Compared to the XS and XS Max, which start at £999 and £1,099 respectively, the XR looks a steal. It fits in the middle, side by side, rocking a 6.1″ LCD, compared to the 5.8″ and 6.5″ OLED panels of the XS and XS Max. To the untrained eye, it is hard to tell the difference between the XR’s Liquid Retina LCD and the panels of the other 2018 X phones. The resolution is lower (1,792 x 828 versus 2,436 x 1,125 of the XS), HDR is lacking and the contrast ratio of 1,400:1 stacks up poorly against 1,000,000:1 but to be honest, I really couldn’t spot much of a difference and certainly not one worth ponying up another £250 for. While not something that would necessarily bother iPhone 6 users, but will certainly annoy anyone used to clever gestures, is the loss of 3D Touch. Although not universally applauded, the tech is handy to have. Aesthetically, the XR also has slightly larger bezels due to the different display technology and doesn’t have quite the same premium “feel” of its brethren. However, since most will spend their lives cosseted in cases, few users will notice the difference. And yes, the XR has the notch as well. Fanbois rejoice. Famously, the innards of the XR are very similar to the XS and XS Max. The CPU is the same A12 Bionic SoC (system on a chip) although paired with only 3GB RAM compared to the 4GB of the XS and XS Max. Samsung S9+ owners may permit themselves a small snort while their version of Android runs riot over their 6GB. Compared to the iPhone 6, the speed difference is stark and the environment simply more stable. Apps that I frequently used on the old phone were noticeably snappier on the new hardware as one would expect (despite Apple’s promises that it had optimised iOS 12 for older gear). The fingerprint reader of the iPhone 6 also famously disappeared with the X of 2017 and it isn’t coming back any time soon. The loss of the home button continues to be jarring and FaceID, while improved since its first appearance, is still no substitute for a well-placed thumb. The 4G modem of the XR is also slower than that of the XS and XS Max. However, users are unlikely to notice much difference in the UK at least. What they may see are problems with reception. Compared to a handy Samsung S9, I saw a drop in signal strength in the same area, with the XR occasionally giving up completely. If you live in a region with weak mobile coverage, this could prove to be a concern. Mobile warriors will, however, be pleased to see a kind-of dual SIM implementation in the phone, with a normal nano-SIM slot and an eSIM. The view from Vulture’s London towers as seen through the XR’s lens. If the screen is the first compromise, the second is the camera. Effectively, the XR has half the camera of the XS. Just the 12MP wide-angle camera is present, so no optical zoom shenanigans for you here. However, the good news is that overall the imaging kit works well (if not quite so well as the Google Pixel 3) and you’d be hard-pressed to notice much difference from the costlier XS implementations unless you try and use the telephoto functionality. The weather’s been weird, OK? Portrait mode is also present, but, bizarrely, only works on people, meaning that if you want a blurry background on your pet photos, you’ll have to look elsewhere. Even Reg the Vulture, who casts a glass eye over the Register office, could not fool Apple’s all-knowing AI. 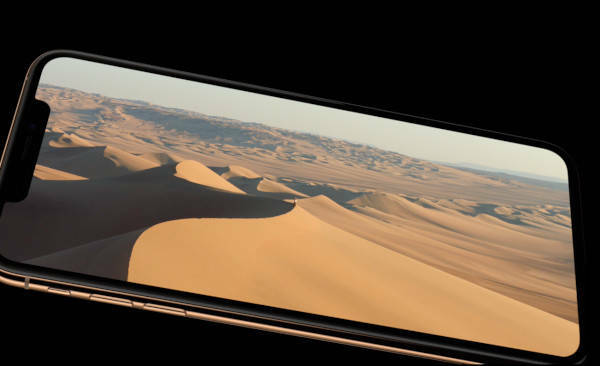 Video is identical to the other 2018 X phones, giving 4K at up to 60 fps and slo-mo support for 1080p at up to 240fps. Again, there is no optical zoom on the XR for video unlike the 2x of the XS and XS Max. The front-facing TrueDepth camera of the XR is identical to the XS and XS Max, and Animoji and Memoji are present and correct if that’s your thing. It is certainly the thing of my six-year-old daughter, who has yet to tire of being a talking unicorn. The good news is that Apple appears to have finally made a phone without awful battery life. And the bad news? There isn’t any, yet. The wireless (Qi) chargeable device claims up to 15 hours of internet use – three hours more than the XS – and I’ve yet to see anything to contradict this. Despite some intensive snapping of photos, browsing of websites, hitting Netflix and playing the odd game, the phone only had to trouble the charger once every two days. How well this carries on to the medium and long term will be interesting to track. As an iPhone 6 owner, I am well used to an initially impressive battery life being crippled over the years by increasingly aggressive apps. As well as all the bad stuff inherited from the iPhone XS (the notch and lack of a headphone socket) the XR introduces a few of its own. Firstly, it is noticeably heavier at 208g than the 177g of the XS and a huge jump from the svelte 129g of the iPhone 6 (or even the 138g of the iPhone 7). Further limiting the “pocketability” is the size – at 75.5mm wide it is just 2mm narrower than the iPhone 7 Plus. This is a big phone, and not really suitable for slipping into a handy pocket. Add to that a bulky third-party case (Apple’s own cases aren’t due for another two or three weeks, according to a representative) and the thing feels huge. The XR does get an IP67 rating, meaning it should survive a short dunking in the bath or a drop down the toilet. However, it does not merit the IP68 rating of the XS and XS Max, so dropping it in the deep end of the swimming pool is a no-no. It also lacks a headphone adapter, which will leave those mourning the headphone jack needing one of Apple’s many adapters. Finally, there is the cost. £749 only appears good value when viewed against the £999 of the XS or £1,099 of the XS Max. It would also buy you a jolly good Android phone or something more middle of the road and still leave you change for a nice weekend away somewhere.